Late Fall Backyard Nature in New Jersey: Deer. 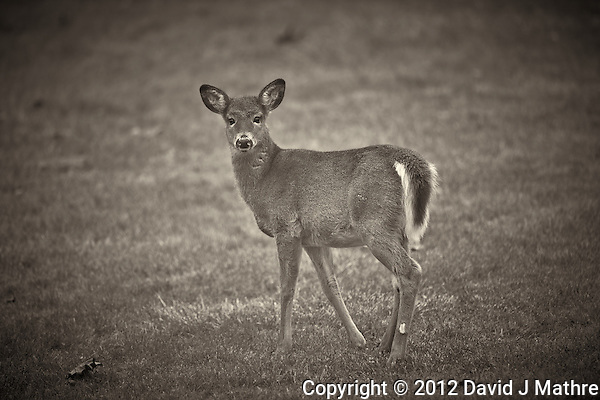 The deer are very skittish right now, between rutting season and hunting season. There were a few does in the backyard late Sunday afternoon. As soon as I got out onto the back deck to try to get some images, there was a series of shotgun blasts in the distance. 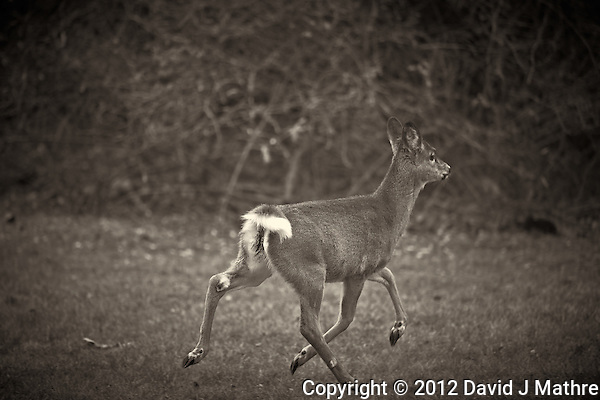 White tail up and the deer quickly took off. I thought that hunting wasn’t permitted on Sundays for those of us that like to go walking in the woods. I processed the raw image with a trial version of Capture One Pro 7, and then converted it using Nik Silver Efex Pro. The new version of Capture One is going to take some getting used too — some new features, but also some idiosyncrasies that will take some time to understand.